X360, PS3 and some big PC titles are currently priced at $60 as their full price. For us PC gamers have to imbrace a $10 price increase and screaming its too high and some console gamer have already done that. Maybe you should look at what our parents had to pay for our games. 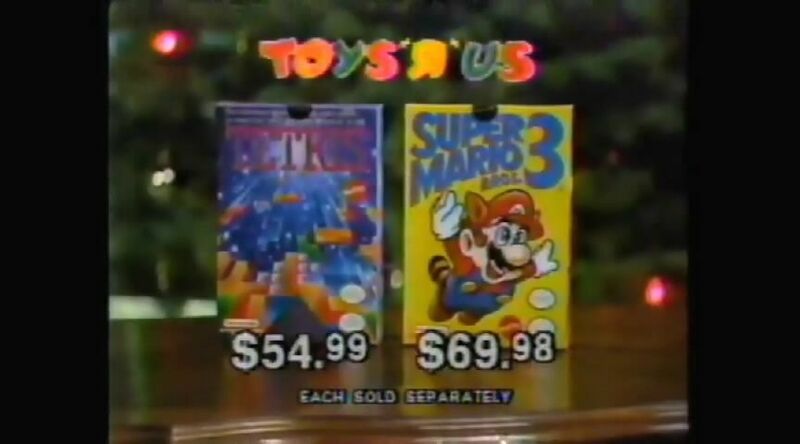 There is a Toys R Us commerical aired during Christmas Season of 1990 showing the prices of two NES games. Tetris was priced at $55 and Super Mario Bros 3 $70. This might not be alot of money for some people, but adjusting to inflation for today's money, the two games would be priced at $90 and $115. Crysis 2 is priced at $60, that would be the equivalent at $35 comparing to prices in 1990. Game prices have ranged from high to low many times throughout the generations its not like they just upped and got expensive...I remember paying 80 dollars for chrono trigger. Well, even now a game that's $60 is actually worth less money than a $50 game 10 years ago, and that's what new PS2/Xbox/Gamecube games cost. $70 for SMB3 it was totally worth it back then. I love that game. I've never understood the "today's money" argument. It doesn't take into account the average wage, cost of living or thevalue of the dollar. That's the US? Dang! I haven't been one to whine about game prices because I have always put the money. The way I see it, I fill up my car with $80 of gas every 350 miles I drive. So even if I'm driving 30mh, I spend $80 for 700 minutes, a little under 12 hours. Personally, I make sure I spend more tha 12 hours per game and compared to some other hobbies, its one of the cheapest. That's how I justify it. But I would never see myself spending 20 hours on Tetris or SMB3. Exactly, I remember paying a stupid amount for Xenosaga when it first dropped. I can't remember if I watch something on TV or someone linked a YouTube video, but they were looking at various consoles since... forever, and found that if you include inflation video games cost way more in the past than they do now, it didn't make things look so bad, wish I could find a link because it'd be interesting for others to see. But I did find THIS, kind of like what I saw but not what I saw, and only deals with older pre-NES consoles. Those games shipped with cardridges dude while pc gamers today get the game via digital download. It costs nothing but bandwith. I remember N64 games costing up to the equivelant of 100 euros back in the late 90s. O no way man. The games were like 40-50 bucks. Games like paper boy were even aroun 35. Just curious, who is talking about USD and who is talking about CAD or maybe even AUD? Would be worth knowing. According to SSB$70 in 1990 is equal to $107 in 2010. Thats a price increase of 53.9%. Edit: SSB is the official statistics of economics in Norway, feel free to use the calculator yourself using google chrome's translate! Some pc games were 70$+ around the same time as this advertisement. I agree! I remember Virtua Racing and Super Street Fighter 2 for Megadrive being almos equivalent to 100 euros, not to talk about Neo Geo games!!! Then you factor in the fact the dollar was worth much more back then. I usually never pay 60 bucks anymore I just wait till there 30-40 anyway unless it's a game I really want. I think the most I ever paid for a game (not counting collectors editions or games that had extra accessories included) was around sixty dollars on Zelda OoT the day it came out. I bought Final Fantasy 6 (FF3 SNES) and I think I paid at least sixty for with Christmas money it but I don't think I paid more for it than I paid for Zelda. I don't remember SMB 3 being almost seventy dollars, but then again I was around nine or ten when it came out and my parents didn't buy the game for me until almost two years later. When you look at game prices today, it's not really that bad assuming the game is good. depends on the game/rarity. Most games now are made in abundance. there are quite a few others as well. I always waited late into the gen to buy consoles and there games so most I've spent for a game in previous gens was $50 and yes I did own an N64, SNES, and Genesis. Most I paid was $98 for Chrono Trigger. RPGs were especially expensive around then. Phantasy Star 4 was $120-140 depending on where you went. Then the PS1 spoiled me and I couldn't dare bring myself to spend more than $40 per game, and even now I think that's too much. Usually $30 or below is within my buying range. Takes a while for some of the games I want to get cheap though, but it's not like there's any shortage of good games to play. So it's not really worth worrying over for me. Jeez. Some of you payed $80 for a game? So was the PS2/Xbox/GameCube the first generation with standardized prices? Asside from collectors edictions, I don't think games ever went above $50 did they? 25+ years ago I used to buy Amstrad/Spectrum and Commadore games brand new for £5 each. Then the 8 bit systems came out and the price of games sky rocketed! How about those $250 Neo Geo games? I wonder why they're no longer in the console market? Also wasn't Majora's Mask $100 in 2000. It was bundled with the Expansion Pak. Just like Donkey Kong 64. I've been preaching this here for years. Games now are cheaper than ever. Here is a handy inflation calculator provided by the US Board of Labor and Statistics. NES games ranged anywhere from $35-$70 USD. According to the BLS inflation calculator, $35 in 1985 (when teh NES launched in the US) is equivalent to $71.99 USD in today's economy. $70 in 1985 would be $143.97. So NES gaames adjusted to current inflation levels cost anywhere from $72 to $144 USD. SNES games were typically in the $40-80 USD range. Adjusting from 1991 (US SNES release date) to 2011 makes those prices $65-$130. N64 games ranged from $50-$90 USD. Which would be $70-$127 at today's prices. PS1 prices were mostly in the $50 range, or $70 at today's prices. PS2 and Gamecube games were mostly around $50, which is about $65 today. Which brings us up to the current gen. $60 today is still $60, which if you've been following along, is less than games of any previous generation. Yet all the time threads pop up complaining about how expensive games are this gen. I guess they don't realize that when their parents were buying their games they were doing with much smaller salaries than we have today. Hell, I can go get a minimum wage job at McDonalds and make more per hour than my mom did working as an RN when I was a kid. Donkey Kong 64 was $59.99 - $74.99 in the United States. In fact, Almost all N64 titles were priced at launch $20 more ($60) than the very same PSOne ($40) games. I found it interesting that even late ports from the Playstation coming to N64 like Spiderman, Megaman Legends, Resident Evil 2, and Tony Hawk Pro Skater had less audiofiles and were $20 more than the Playstation earlier counterpart. It was a very interesting time to be a gamer. It's not so much that the $60 price point bothers me, it's that it costs $60 for no reason. A PC game is $50 and then $10 because the publisher is an ***. If PC games are going to be $60 then make console games $70. It costs $60 for no reason? Hahaha, how does that work? People forget what inflation is. Hell not too sure some here even know what the **** that means. it's funny how people don't rem that stuff from back in the day. the 16meg chipsets for snes titles was way expensive. i remember me and my brother saving up for super street fighter because it was $80 at launch. SMB3 can be beaten legit in less than 5 hours. There's no multiplayer or nothing, yet that was worth $70 back then? Let's no forget $70 back then was worth a lot more than $70 now. Just saying because nostalgic people love to bash on games saying they're not worth $60 when they offer way more. I'm glad TC made this topic because people seem to forget games cost more back then, only I was never able to find proof because whenever I searched, there's no records of game prices for 1980-2000. The price was too low. It drove them out of business. Buying the cartridges were more pricey since they were more expensive to produce compared to the CD Roms, which is why many went the route of CD's instead of Nintendo who wanted to avoid piracy.